Every Thursday from 4:00 until 8:00 pm we open a special bottle of wine and offer to you at a highly discounted price. The wines are typically 90 points or better and are discounted 20-40%. Sometimes even more! when we can get special pricing from our vendors , we pass the savings along to you!! Come in on Thursday and sample. If you can't make it, call us and we can put some aside for you!! Snow and Chardonnay - what a great pairing! Full bodied and very limited production, this wine is simply beautiful - elegant yet powerful. We featured the 94 Point 2014 vintage last year to your rave reviews. Although the 2015 has not been rated after tasting it I have know doubt it will score well again with Parker. Bright aromas of apple, shortbread, and lemon zest couple with lovely flavors of Asian pear, and crème brûlée to create a rich wine that proudly boasts fresh acids and a long finish. The classic flavors and profile of the Russian River Valley shine through this beautifully integrated wine. Pair with seared or roast shellfish like lobster, scallops and steamed crabs! Also simply roast chicken, dishes that include wild mushrooms, slow roast tomatoes, fish, especially Sea bass and anything with fennel. Yum! WindRacer lets you chart your own course, whether you prefer the plush opulence of Russian River Valley or the silken elegance of Anderson Valley. Both areas enjoy plenty of California sunshine, but morning fog and crisp ocean breezes ensure the fruit retains its natural acidity – the key to maintaining balance and finesse. WindRacer showcases these two maritime areas with elegant expressions of the cool-climate varietals that thrive in a wind-swept landscape. Wind Racer brings two world-class growing regions into the spotlight, head to head in a race for the ultimate in sophisticated pleasure. 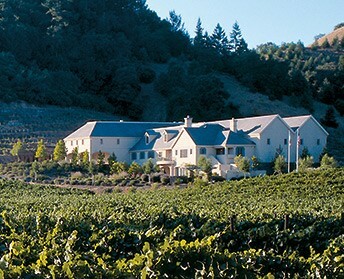 Launched in 2006, co-proprietors Barbara Banke and Peggy Furth focus exclusively on their favorite maritime appellations – for Barbara, Mendocino County’s Anderson Valley and for Peggy, Sonoma County’s Russian River Valley. 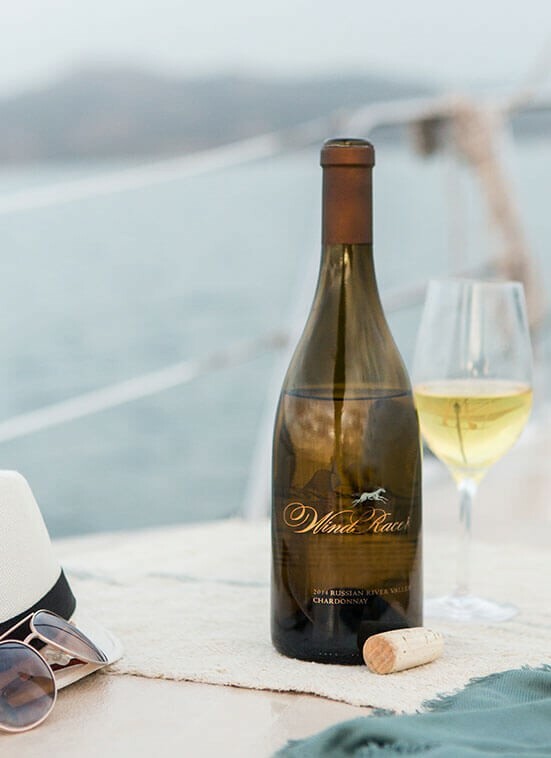 Inspired by an antique weather vane found in rural Kentucky, Wind Racer unites their shared passion for equestrian sports and cool-climate Chardonnay and Pinot Noir.